ADRF is introducing a new program called ‘SI Spotlight’ to recognize ADRF’s system integrator partners through ongoing surveys from our engineers and sales teams. The goal is to highlight system integrators that have proven their ability to overcome challenging deployments. That being said, we are thrilled to spotlight C2 Systems for their innovative work on luxury residential high-rise buildings. C2 Systems sets itself apart by being one of the most technical system integrators in the industry. In addition to connectivity deployments, the company offers a complex web-based network management system, SitePortal, that monitors some of the largest mobile carrier systems in the United States. This platform is used for remote monitoring and management of large-scale multi-vendor DAS networks, small cells, and macro networks. Due to the nature of the properties and the clientele they tend to attract, C2 Systems is required to install antennas and equipment in ways that aren’t visible to the public but ultimately produce blanket connectivity from anywhere inside the venues. Oftentimes, there isn’t a lot of room for remotes to be installed. To overcome these concerns, C2 Systems takes advantage of ADRF’s compact and modular ADXV platform and installs remotes at the very top and bottom of the high rise buildings. C2 Systems will then route cables vertically throughout the building to prevent any cables or system components from interfering with the aesthetics. 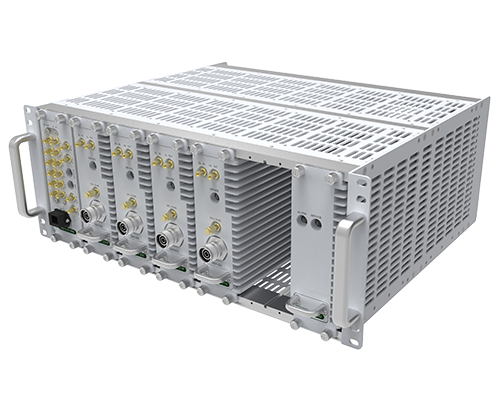 Since ADXV is a scalable, future-proof DAS, it allows the integrator to easily add multiple frequency bands and carrier signals as needed. Another challenge with luxury high-rise buildings is that the infrastructure tends to be of high-quality material, which can be as disruptive to RF signal. In particular, concrete, limestone facing, metal walls, and marble are some materials that can drastically interfere with signal quality. This is why ADRF’s proprietary digital filtering technology is perfect for these types of deployments as it helps eliminate channel interference and create the best signal possible under these conditions. We look forward to continuing working with C2 Systems on future integrations and congratulate them on their continued success with installing the best connectivity solution for each unique project.